For this revisionist revisitation, Disney’s 1959 Sleeping Beauty is merely a point of departure. The two relate glancingly enough that they’re almost ships in the night. 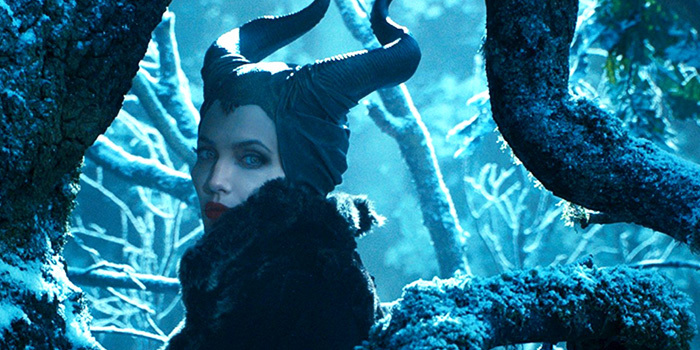 The formerly mysterious and unmotivated villain Maleficent, self-proclaimed ‘Mistress of all Evil’, is this time lead along a heroine’s journey of love, hate and redemption. It’s a solid story, a premise ripe with conflict, tension and bad blood ready to be cracked open by a seed of remorse, though sadly a scene here or dramatic exchange there will drop the ball – often enough that it sometimes feels like we’re lead from one missed opportunity to the next. And Sharlto Copley needs better parts than he’s been getting since District 9, including the one he gets here. Ms. Jolie inhabits the mantle of black queen well, despite a sometimes over-mannered performance. She knew a plum role when she saw one. It possibly does more for her than previous asskickers Lara Croft, Mrs Smith, Salt, or even Changeling. 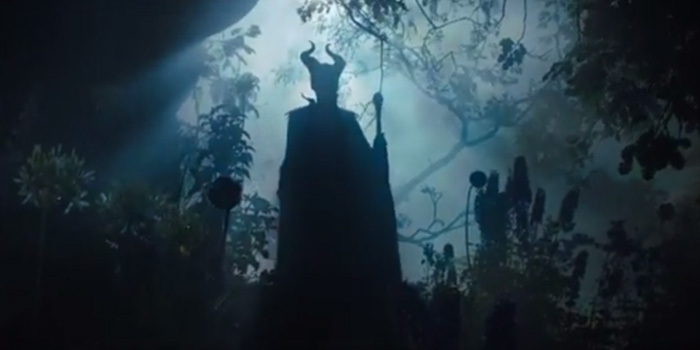 In Maleficent she gets to play the Devil herself – at once a first-fiddle matriarch and a disaffected, diabolical crone. Meanwhile the ever promising Elle Fanning blooms in her shadow. Oddly it has much, though perhaps in the end a little too much in common with the immediately prior Disney release, Frozen. Incidental princes are a welcome distraction but are invited to stand in the corner till later, while sisters do it for themselves.